The ultimate Caribbean regatta to attend in 2017--great conditions make for great competition and an atmosphere of fun and entertainment. The 50th edition of Antigua Sailing Week will commence with the Peters & May Round Antigua Race on Saturday April 29, 2017. Following that will be five days of competitive racing off the rugged south coast of Antigua, which will wrap up on Friday May 5, 2017. Antigua Sailing Week is considered one of the Caribbean's most prestigious regattas with more than 100 yachts participating annually and in 2017 will celebrate its 50th edition in style." The ultimate Stadium Racing championship heads to China's Olympic Sailing City of Qingdao for the second Act of the 2017 season. Racing streamed LIVE on 30 April & 1 May. Apr 18, 2017: The countdown has begun as China’s Olympic Sailing City prepares to welcome back the Extreme Sailing Series™ for the seventh time, from 28 April - 1 May. Take a look at some of the best moments from Qingdao. Much has changed since the first visit in 2011, but the excitement still remains. Video above published Apr 30, 2017: After two severe days, Sotogrande and the Andalusian coastline laid on perfect conditions for the final day of competition at the RC44 Sotogrande Cup. Mountainous seas gave way to a short chop, torrential rain gave way to brilliant sunshine and a stiff but shifty 20 knot, westerly offshore wind, to provide the tacticians with some welcome head scratching. Despite this idyllic scenario for the crews and a tight leaderboard to resolve, today was formidably taxing for PRO Peter Reggio and team as the wind repeatedly shifted causing numerous general recalls. It also proved treacherous for the crews with numerous 'hero to zero' moments across the fleet. None was worse than that of Team Aqua. Having increased their lead to five points after the first race, Team Aqua were on track to consolidate their position in the second race until they caught a decent sized wave that buried the bow breaking the bowsprit. The crew rallied to fit a replacement just before the shut-off for the final race of the day. In this, amazingly, the three frontrunners were last to the weather mark. At the second weather mark rounding Team Aqua had recovered fourth place, which they hung on to the finish. winning them the RC44 Sotogrande Cup title while Peninsula Petroleum, which came home last, took second overall. Kirill Frolov, joint helmsman on Bronenosec Sailing Team rounded-up the Sotogrande Cup podium in third, a fine result considering it was their first regatta with an almost entirely new crew. Video above published Apr 29, 2017: Once again the wind was not the issue today but an initially massive sea state that had the nimble RC44s disappearing in the troughs up to their spreaders. To make matters harder the wind and the wave train weren't aligned with boats sailing along the giant waves on starboard tack and crashing directly into them on port. And then there was the torrential rain that made the decks extremely slippery and helped cause two man overboard incidents – both crew successfully recovered. The day had three different winners with Russian Alexander Novoselov's Katusha for a second time winning the opening race of the day, while John Bassadone and his team of local heroes on board Peninsula Petroleum claimed race two and Bronenosec took today's third and final, marking a first ever race win in the RC44 for new co-helmsman Kirill Frolov, despite this only being his second day of racing in the class. Day 2 RC44 Sotogrande Cup - Rain does not stay on the plain - Rain of Old Testament magnitude descended on Spain's Costa del Sol for day two of the RC44 Sotogrande Cup. While the wind was not excessive, the sea state decidedly was. Apr 27, 2017: The opening day of the RC44 season and the RC44 Sotogrande Cup proved extremely trying for PRO Peter Reggio and his race management team as they valiantly strove to keep the course orientated to the wind, an operation that required course changes on nearly every leg of all today's four races. With the heavy guns out in the RC44 fleet, today's four races had four different winners with giant victories especially for Alexander Novoselov's Katusha in race one and the local heroes on John Bassadone's Gibraltar based team Peninsula Petroleum in race four. Team Nika ends the opening day two points clear of Chris Bake's Team Aqua in turn three points ahead of Bronenosec Sailing Team. The light blue RC44 was widely considered star performer today as all but three of her crew, including the helmsman are new to the fleet. 2017 RC44 Class events season and host venues will be comprised of five European events. Starting in Sotogrande, Spain, April 27-30. Video above published May 1, 2017: Watch the highlights from the Sailing's World Cup Series in Hyeres, France. Watch LIVE Replay of Sailing from the World Cup Series in Hyères, France. Apr 26, 2017: Afrodite Zegers and Anneloes van Veen (NED) were unstoppable on day two of Sailing’s World Cup Series in Hyères, France, winning both Women’s 470 races in convincing style. Racing at the World Cup Series in Hyères, France started with practice rounds on the 23-24 April 2017 and concludes with two days of LIVE Medal Races on 29 and 30 April 2017. LIVE Twitter feed embedded below. World Sailing's World Cup Series Hyeres is the only French meeting on the circuit. Historically, the town used to host the SOF or French Olympic Week. In 2013, World Sailing awarded it the prestigious Sailing World Cup label, thereby confirming its status as an integral part of the circuit. The Sailing World Cup - Hyères TPM brings together the very best international competitors over a 10 day period and, as such, it is the biggest sailing event in France in terms of participants and international representation. Published Apr 13, 2017: The humpback whales have arrived in Bermuda! We are #RaisingTheBAR and protecting our pitch with the help of Team 11th Hour Racing by saying NO to single use plastics. Video above published Apr 4, 2017: As many sailors know, our oceans, lakes, rivers, and coasts are littered with plastic. In fact, 8 million metric tons of plastic enters the ocean from land every year. That’s enough to cover every coastline on earth and is equal to 1.5 million cars. Plastic pollution also creates 13 billion dollars of damage to marine ecosystems in the U.S. alone. BUT don’t get overwhelmed by the statistics. There is a way you can help fix this mess. Sign up now: http://sailorsforthesea.org/plastic-pollution --Be the solution to plastic pollution! Video above published Apr 10, 2017. The Race | The Transat bakerly | thetransat.com: "The Transat – single-handed ocean racing at its best. Up to 3,500 miles of open water from southwest England (Plymouth) to New York City. A challenge dominated by the progression of low pressure systems sweeping across the north Atlantic that produce the headwinds that define this classic race." Video above published Apr 10, 2017: The best moments from a week of intense racing during the Long Beach stop of the World Match Tour, hosted Long Beach Yacht Club, CA. Some audience-favorite shots and some moments you haven't seen yet. Published on Apr 17, 2017: A first look for Emirates Team New Zealand at the America's Cup race course on Bermuda's Great Sound. Ray Davies: "On a day like today, it's as good as it gets. Perfectly flat water, not a cloud in the sky, 12- 14 knots ... It's a glamour!" Video above published Feb 15, 2017: The story of the boat 'New Zealand' which Emirates Team New Zealand will take to Bermuda and hopes will win the America's Cup in June this year. 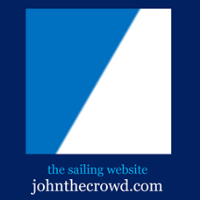 The Racing Rules of Sailing (RRS) govern the sport of sailing on the water. They are revised and published every four years by World Sailing. The current edition is The Racing Rules of Sailing 2017 - 2020. The Racing Rules of Sailing is also available for purchase through the World Sailing Executive Office. You can also download the complete document and related publications. Also available below are details of racing rule changes authorized by World Sailing under RRS 86.2, National Prescriptions and World Sailing's Policy on the Reproduction of The Racing Rules. WMRT Coconut Grove Cup 2017 | World Match Racing Tour: April 14-16: WMRT Coconut Grove Cup is the second of the Miami double header WT level events in April. The finalists from this event will qualify to another American event in the WC level WMRT Match Cup USA. Welcome to Les Voiles de St Barth 2017 ! WMRT Miami Match Cup 2017 | World Match Racing Tour: WMRT Miami Match Cup will be sailed in the beautiful Biscayne Bay. The finalists of this event will qualify to WMRT Match Cup Sweden with the top 8 teams scoring championship points on the 2017 WMRT Leaderboard. Video above published Apr 4, 2017: Join in all the action from one of the most competitive one-design racing circuits in the world, the 2017 RC44 Championship Tour. The 2017 RC44 Class events season and host venues will be comprised of five European events: Sotogrande, Spain (27 – 30 April), the iconic Sardinian sailing mecca of Porto Cervo, Italy (29 June – 2 July), Marstrand, Sweden for the 2017 RC44 World Championship (10 – 13 August), then the penultimate regatta of the season will be held in the sailor’s favourite stop, Cascais, Portugal (28 September – 1 October), with season finale, the RC44 Calero Marinas Cup 23-26 Nov. More info: rc44.com. Video above published Apr 6, 2017: An annual triangle, offshore sailing regatta helps bridge the gap between American and Cuban people. The ocean is the greatest road there is and this year's fleet used it to experience Cuba, which is trapped in time, but on the verge of great change. Lost shipping containers - what's the risk to yacht? Mar 30, 2017: Helen Fretter of Yachting World investigates how many shipping containers are lost each year and what the risk could be to yachts. Cargo overboard - salvaging the problem of lost shipping containers | March 4 2015 | Ship-Technology.com: "A recent survey found that, on average, 1,679 containers are lost at sea each year, but how accurate are these figures and what is being done to reduce them?" A legendary offshore danger - OceanNavigator.com | March/April 2013: Just how big of a threat are floating shipping containers? Sailing Navigation Tips - How to Find Your Position by "EP"
Video above published Mar 27, 2017: Hear from businessman, sailing enthusiast, and Oakley Capital founder Peter Dubens as he explains his vision for North Sails from the company’s first ever Global Sales Meeting. Oakley Capital is an investment vehicle that acquired North Technology Group in 2014. Video above published on Nov 19, 2015: Take a look inside North Sails’ UK sail loft based in Gosport, on the southern coast of the UK, housing a number of global departments under one roof. These include Superyacht finishing andsail production for One Design and North Sails 3Di. NorthSails’ European flagship facility, the loft enables North Sails to remain at the forefront of sail technology, innovation and manufacturing. Gosport is the first loft in the world to specialize in superyacht sails, and it’s gigantic raised floor – measuring 1,950m2 – is the largest ever built..
One of THE stories of 2017 - Conrad Colman's candid description of his battle to get around the world and how he nearly lost his life in the process. Video above published Mar 26, 2017, by World Sailing: 00:05 - Miami T-bone – A tough opening day at the TP52 Super Series 00:45 - Lifting the lid on the new America’s Cup class 05:14 - Sailing Arabia The Tour 06:07 - Why the Finn is still such a big draw 08:04 - How the Caribbean 600 played out We lift the lid on the new America's Cup class boats to reveal the similarities and differences with teams' test boats. That and plenty more, including a T-bone that will make you wince, an offshore race in the Caribbean that will make you envious and a single-hander that might make you want to dig out your hiking pants. Video above published Mar 29, 2017: Recap the four days of action from the epic 2017 season opener that took place in Muscat, Oman, earlier this month, before we head to Qingdao, China, for Act 2, starting April 28, 2017. Video above published Mar 22, 2017: The first Red Bull Youth America’s Cup-branded AC45F catamaran has arrived in Bermuda – an exciting milestone in the countdown to the second edition of the event, upcoming in June. Twelve teams of youth sailors will battle it out on the super-fast boats that are considered to be the Formula One cars of the sailing world.